GateWall Mail Security is a solution for the protection of corporate email from viruses, phishing, spam and other malicious messages, that allows preventing confidential information leaks. The product has options of messages backup and email account monitoring, supports synchronization with MS Exchange 2003 and Lotus Domino via IMAP, and can also operate with any other mail servers. Due to its modular structure, GateWall Mail Security is highly efficient and failsafe. Antivirus and antispam cloud-based modules provide filtering of spam and viruses using a system of rapid response to new threats (Zero-Hour Protection) with almost no false response. GateWall Mail Security has the Data Loss Protection (DLP) module preventing confidential information leaks or penetration of other unwanted information from external sources. GateWall Mail Security uses three integrated antivirus modules: cloud-based Entensys Zero-Hour, Kaspersky and Panda antiviruses. A cloud-based antivirus enables proactive virus detection. Therefore, Entensys Zero-Hour begins fighting a new virus before it infects millions of computers. Cloud antispam filters messages based on their content and heuristics analysis. One of the main advantages of Entensys cloud antispam is a very low rate of false detections - less than one in 1.5 million messages, while its spam detection rate is over 97%. GateWall Mail Security supports the following additional filtering methods: based on DNS (DNSBL, RHSBL, Backscatter, MX, SPF, SURBL), based on a distributed antispam system (cloud antispam), based on statistical filtering (Bayesian filtering method designed by Entensys). 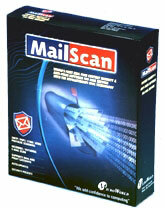 GateWall Mail Security allows you to backup incoming messages. GateWall Mail Security provides information on all messages processed by the antispam solution server and supports a system of rules for processing message attachments.